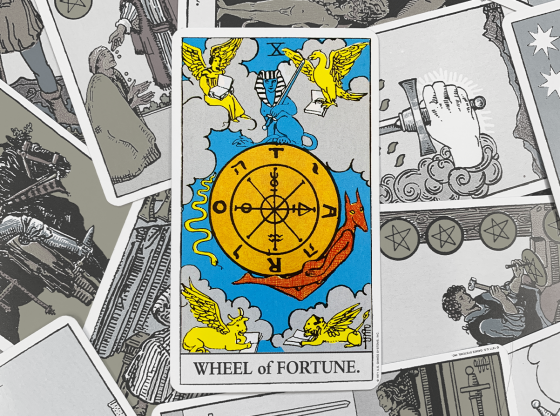 Each card in the Tarot deck is numbered. 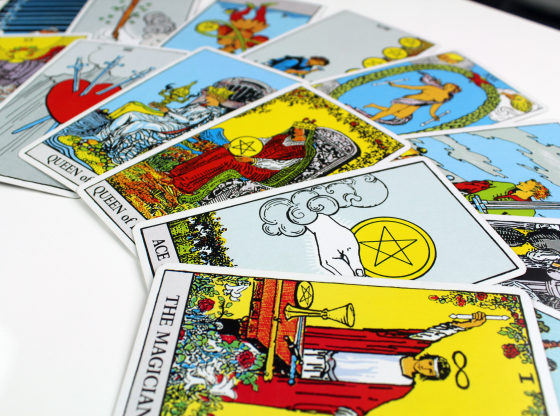 While the deck is organized in a numerical order, cards sharing the same number have similar points of reference. 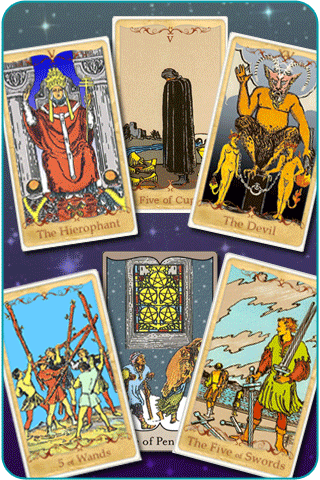 Each card with the number nine on it reflects elements of isolation, anticipation and heightened awareness. There are six cards in the deck with the number nine. Each of these cards features a lone person. Card number 19, The Sun, features a young child on horseback under a bright sun. 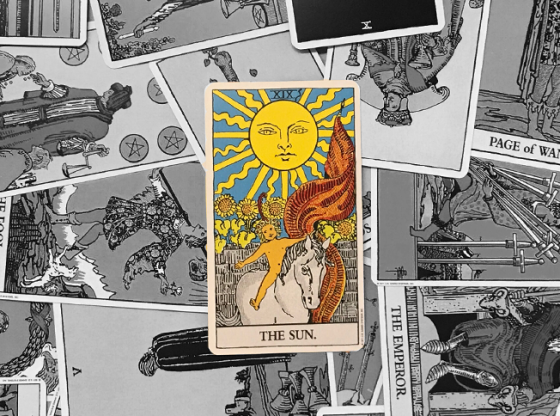 Some decks feature an illustration of a face on the sun itself. These cards emphasize our relationship with ourselves, the strength and wisdom achieved in being alone, and the full ramifications of that very isolation, good and bad. 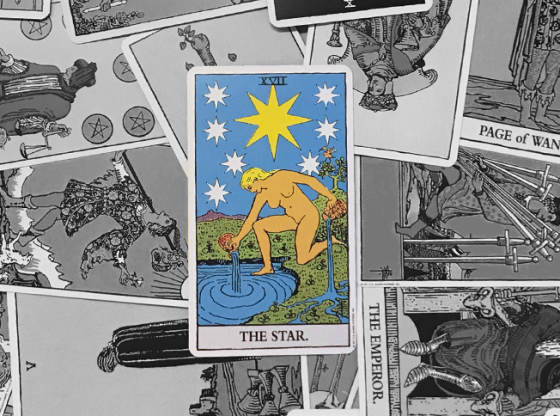 If more than one card with the number nine is in your reading, you will likely be dealing directly with the themes of isolation, study, awareness, advancing consciousness and anticipating a growth in your power off into the future. If your reading features a card numbered nine in the past position the foundation of where you are now is based in an incident or period in your life when you were alone. If a nine is in the present position, focus on your ability to find your own space and work out your issues through study and meditation. If the future position of your reading holds a nine, look to find comfort in your alone time in the months ahead. Card number nine is The Hermit. This is the most introverted and isolated card in the deck. When this card appears in your reading, you will be making great strides in accelerating your education and wisdom by isolated study disconnected from any groups or even from a traditional mentor-apprentice relationship. Your research could be valuable to your earning power or lead to an expansion of your philosophical mindset. The light that the Hermit in the card confines to his lantern could also be coming from nonstop internet surfing or game playing. 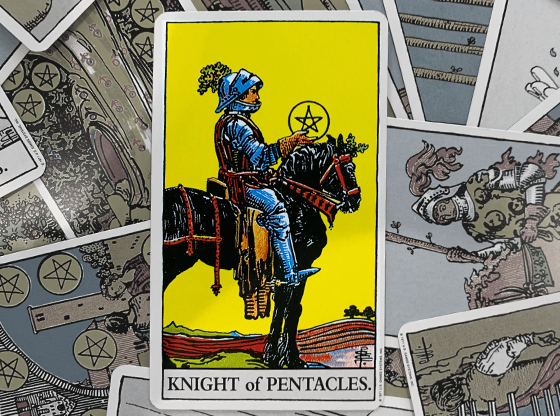 The infant on Tarot card number nine represents the core human ego, and the blazing sunlight under which he rides a horse illustrates the energy of that ego unleashed. While the Hermit holds his light, a metaphor of self-knowledge, in a well-confined lantern, that self-awareness is illustrated as pure sunlight to reveal the baby within our egos parading publicly for all to see. 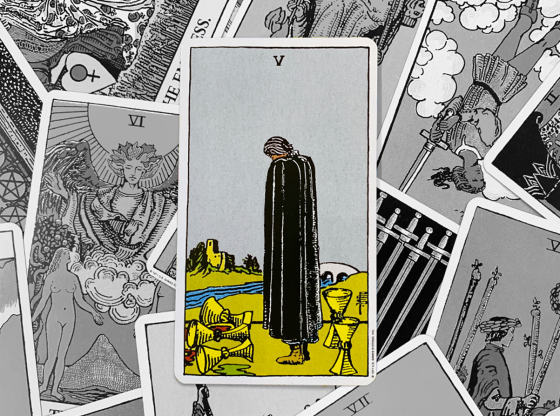 As satisfied as the man in the Nine of Cups card appears, understand that for all he has, he is alone with it. The neat row of nine cups illustrated behind him represent emotions. These cups represent your relationship to your own emotions. Nobody shares in your emotional life. There is a core disconnect from the love you have to give and the lack of someone with whom to share it. Your confidence in being a great partner is challenged by the absence of a successful relationship. The man’s crossed arms could signal that he is waiting for the best possible person with whom to share his vast emotional wealth. 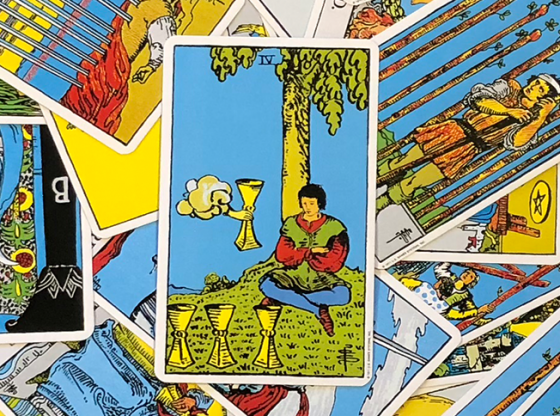 The Nine of Cups confronts you with the nature of your isolation from intimacy: are you holding out for the best or have you given up on love? 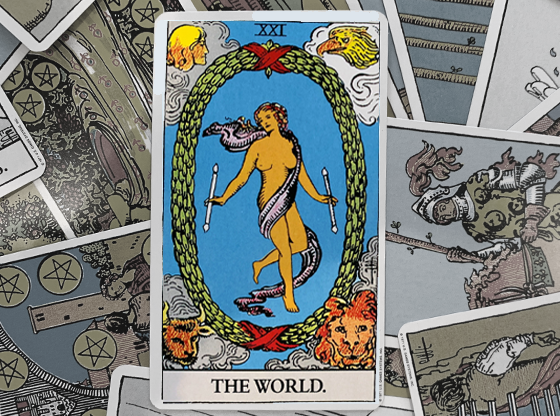 The Nine of Swords is a dark and lonely card. The lone figure has awoken from a nightmare and, head in hands, is obviously filled with regret about the past and possibly fears of the future. The quilt covering this person in the bed is adorned with astrological motifs, indicating fate will decide the depth of his or her guilt. This is a card that can be riddled with shame or sadness, embarrassment, guilt and terror. 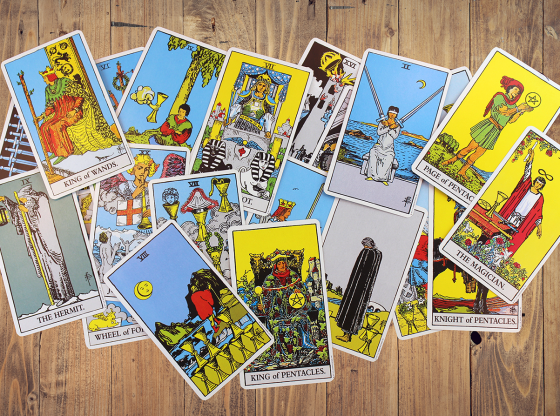 But it is also a card of deep self-awareness – of that moment when you see a shortcoming in yourself or your performance that may have been blocking you from advancement all along. Knowing the reality of the situation is an advantage, no matter how traumatic the realization is. 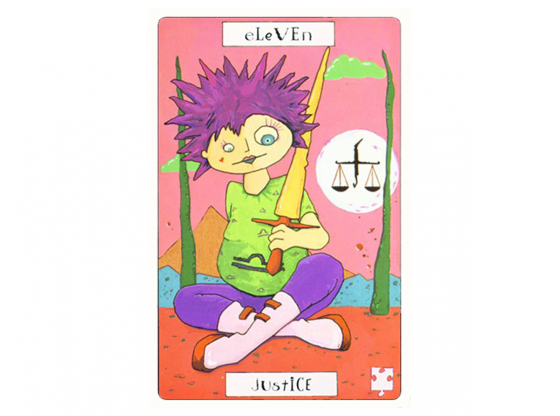 The man illustrated on the Nine of Wands has been through a battle. He holds onto his large walking stick, called a wand in Tarot lore, aware of the eight wands that are lined up near him. Are they against him? Has he seized them? The questions of this scene play out when you link the illustration of this card to your own situation. Have you won the war after losing every battle? When the cause for which you fight is self-improvement, the isolation from group assistance is balanced with the thrill of knowing that you alone accomplished something. Wands represent creativity and the creative solution to challenges is found within. Pentacles represent money and the material plane. While we all want to get by and earn a good living, the temptation of being among the wealthy is something that few of us could turn down. The Nine of Pentacles illustrates a person who is so enamored with material wealth that she is completely cut off from the world. A hedgerow has isolated her and the infatuation with a small, toy-like bird indicates that the obsession with objects has replaced human interaction and substantial relationships. Have you become hooked on your gadgets, bill payments and pursuit of status as measured by your possessions? Consider how this might be isolating you from living your life.